Thursday, June 4, 2015, 4 – 5 p.m. If you can't make this session, there's another on May 27. Autumn 2015 applications are being accepted June 19 - July 1. 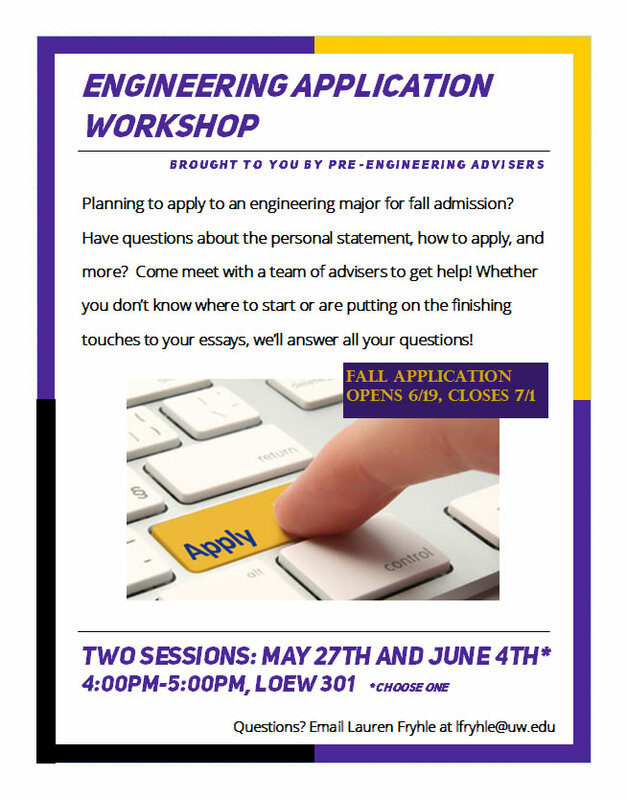 Questions: Contact Lauren Fryhle at lfryhle@uw.edu.